Work-related expenses for employees doing their jobs remotely are often covered by employers, and that can include the use of cell phones. 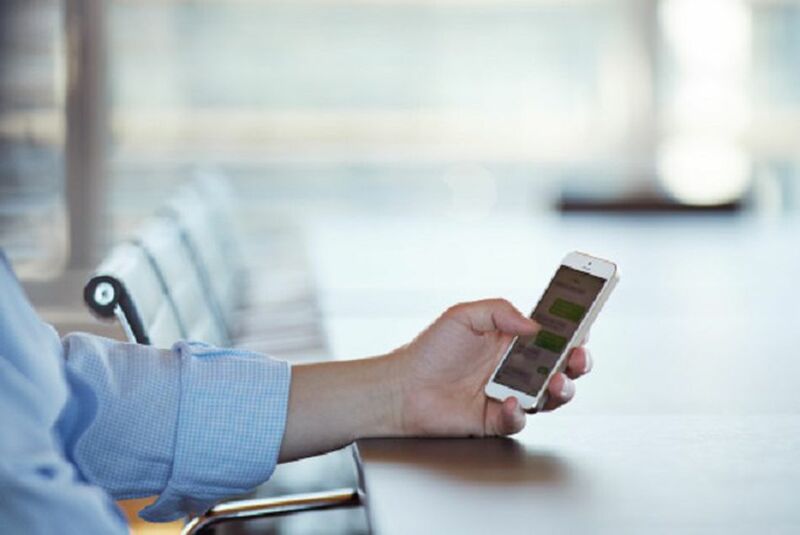 When it comes to mobile phone services, there are two ways employers can go. They may reimburse employees for work completed or business-related communication through their cell phones or smartphones, or they can provide employees with company-owned cell phones. As of 2018, 95 percent of Americans own cell phones and 77 percent of Americans own smartphones, according to the Pew Research Center. From those numbers, it's reasonable to expect that employees will have their own phones, so reimbursement may be a sensible option. But providing cell phones has its own benefits, too, so it's important for employers to consider as many factors as possible, both pro and con, before deciding whether to provide employees with cell phones or not. One of the biggest benefits to giving employees company-owned cell phones is the ability to have everyone using the same hardware and software. However, most people don't like to carry two mobile devices at the same time, so employees might view carrying a company-owned phone in addition to their personal phone as a significant drawback. By providing cell phones, employers can choose a carrier, hardware, and an operating system that best fits the company's needs. Companies might decide they want to go with Apple's iOS, Google's Android, or some other option. But whatever they choose, they'll know that all of their employees should have access to the same software and features. This can improve internal communication and it certainly streamlines work for information technology (IT) departments. It's rare anymore to see people without a cell phone within easy reach, but not many people want to carry two cell phones. Companies can (and should) establish policies for personal use of company cell phones, but most employees don't want to conduct personal business on a cell phone they know their employer can monitor. This leaves carrying a second cell phone as the only alternative, and that typically isn't popular with employees. Additionally, most employees would appreciate being reimbursed for their personal phone as an alternative to carrying a second phone. This is especially true since those reimbursements are not taxable, as of a 2011 IRS ruling. For this to be the case, though, the amount being reimbursed needs to be reasonably and demonstrably related to business needs. If reimbursing employees for business use of their personal cell phones, you're covering the cost of multiple individual rate plans. You'll likely pay a significantly lower rate per phone if you establish a business account for multiple lines with a single provider. Like with most bulk purchases, the more lines you need, the less you can expect to pay per line. Competition is fierce among cell phones providers, so you can be aggressive when negotiating the best rate possible. While it does benefit IT departments if everyone has the same hardware and is using the same software, company-owned cell phones still need to be serviced by technology specialists. When employees own their own cell phones, they are also expected to maintain them, but if problems arise with company-owned cell phones, your IT department will need to solve them. Additionally, since employees don't own their company-issued phones, they may not be as careful with them as they would be if they owned them personally. This can lead to an increase in the rate of replacements for the company. Working remotely isn't the only reason for employees to have cell phones. Some employees, such as executives or members of the IT staff, need to be on call or otherwise accessible on short notice. Carrying a company cell phone, for this reason, can be part of their job descriptions. In urgent situations, time can be critical, and a company cell phone can provide quick access to the proper person. Cell phone technology changes rapidly, even compared to other technology-related products. While businesses can invest in computer hardware and software that might last several years, it's unrealistic to expect that cell phones more than a couple of years old will be able to keep up with current demands. If providing cell phones for employees, expect to upgrade their devices at least every two years. If employees are frustrated with slow or out-of-date technology, that will likely decrease production. It's a good idea to take this into account when initially negotiating a deal with your provider so that you can get the best price possible on expected upgrades.